– Over five hundred party goers having the time of their lives! DRESS CODE: Upscale Festive Cocktail Attire, Sarongs. No ball caps. Sombreros & Fedoras OK. This isn’t like any other cruise or event. 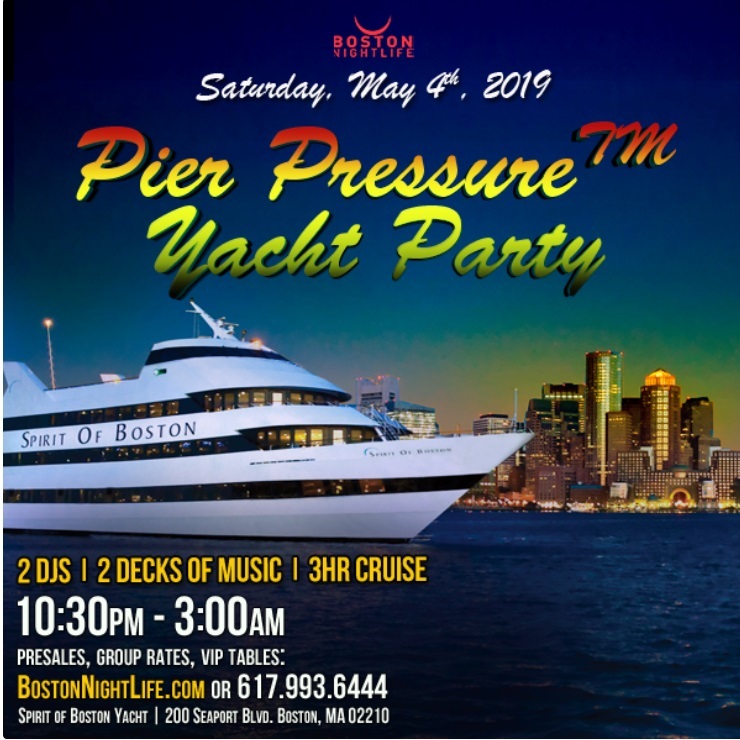 Entertainment Cruises & Boston Nightlife’s mission is to make sure our ‘Pier Pressure’ Yacht Party is a perfect one for you and all your friends. Join us on the ultimate Party Cruise! Call us today if you have any questions or need assistance: 617.993.6444.